For the first time ever you can enjoy all 6 seasons and 130 episodes of Mama's Family on 24 DVDs! Every episode in this long-awaited collection is the original broadcast master and includes the Season 1 and 2 introductions from Harvey Korman as the witty Alistair Quince. This comprehensive collection includes over 12 hours of bonus features including the Mama's Family Cast Reunion; an exclusive 1-on-1 with Vicki Lawrence and Carol Burnett; Vicki Lawrence interviewing Mama; a new interview with Betty White; Eunice, the made-for-TV movie; and much more! Also includes an exclusive collector s book, "Mama's Family Album," with a family tree, funny quotes and character bios. 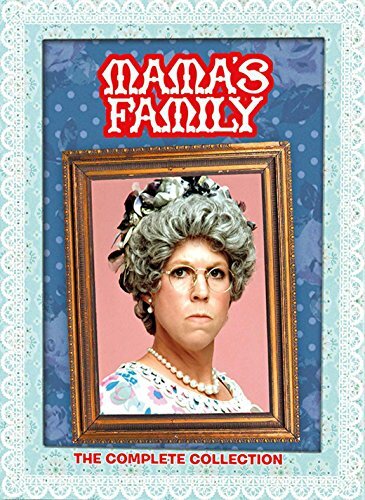 Plus, Mama's Family The Complete Series comes in a beautiful collector s box.